"One of the best-kept secrets of the last thirty years is that big business, government, and the wider culture have waged a silent war against parents, undermining the work that they do....parents have been left twisting in the wind by a society intent on other agendas. "-from the book. 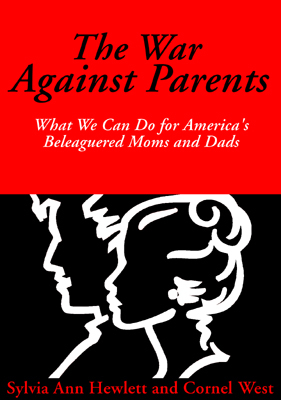 In The War against Parents, two different parents from diverse backgrounds-a female economist from Wales and an African American religious studies professor from inner city America-come together to assay what they describe as the world's antagonism toward parenting. Analyzing the trends that have led to this shift of balance, from changing political and economic forces to the rise of television and divorce, they call for a Parents' Bill of Rights to restore the dignity of the parental role and our nation's commitment to the well-being of children.